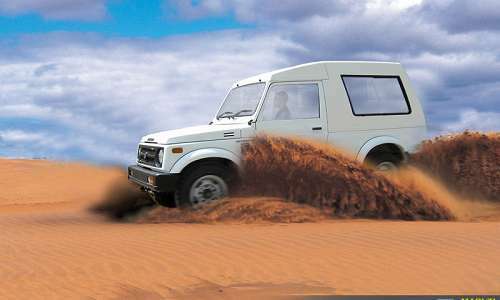 India's most favorite off-roader Maruti Gypsy is all set to make another entry to the markets with brand new look. The Indian auto giant Maruti Suzuki India limited is now considering some measures to make this off-road king a huge success in Indian markets. This is something encouraging for most of the SUV freaks as the SUV is getting some upgrades from the company. 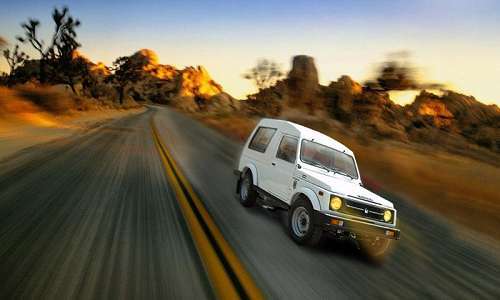 At present there is no information regarding the Maruti Gypsy price or its specifications as yet. However, they might be revealed sooner than later for the Indian car enthusiasts. Gypsy is undeniably the most successful and most favorite SUV of all time in India and we can still see this vehicle on roads as its sales are still running. However, the demand is not as it used to be in the period of 90s. The company relished the success of Gypsy but failed to upgrade as time changed. This led to the decline in demand for the evergreen Gypsy. It is now an unfashionable and low performing vehicle compared to other vehicles. This vehicle has seen many of the SUVs and Off-roaders since int was launched in India in 1985. however only few vehicles from Tata and Mahindra have managed to taste success in the domestic markets. At present Mahindra is leading the SUV segment in domestic markets and MSIL lags behind. At present, it will be too early to say anything about the upcoming new Maruti Gypsy features or its technical upgrades as the company has just started to focus on this vehicle. This is a vehicle blessed with 4 cylindered, 1.3 liter petrol engine with a displacement capacity of just 1298cc. This is below average for an off-roader considering the technicalities of other SUVs in present markets. On the other hand, its appearance is not so trendy as we can see in the Maruti Gypsy pictures. However, we can expect that the Gypsy might undergo some of the major changes to its exteriors. On the other hand there are speculations regarding the launch of this vehicle in the domestic markets soon this year. However, there is no word from the company sources as yet. There is no doubt that if company is seriously considering its relaunch, then we can surely expect for major upgrades in this off-road king. This will automatically prove helpful for the company to boost Maruti cars sales in the domestic markets. On the whole, it will be interesting to watch over next few months as auto markets are about to get new models of SUVs as companies lined up to launch their new models to lure customers.